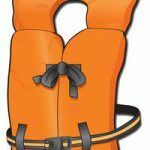 Whether you’re into fishing, an active watersports competitor, or simply think it might be nice to take a boat out on your next vacation, you’ll want to make sure you invest in the best, and most appropriate, life jacket. Also referred to as Personal Flotation Devices (PFDs) or life vests, a life jacket is an essential item for anyone taking to the water. In 2012, 70% of boating fatalities were due to drowning: 85% of those who lost their lives weren’t wearing any form of life vest. Overall, 90% of deaths by drowning occur on inland waters, and the majority of those who drown knew how to swim. It doesn’t matter how well you think you can swim, or how calm the water is – you want to make sure you have a life vest available. And that you are wearing it. The United States Coast Guard requires every boat to have one wearable life jacket per person onboard available at all times. It is not mandatory for adults to be wearing their life vests, although they’re not much use sitting at the back of the boat when you’re in the water! 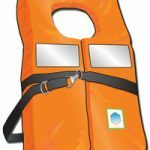 Children under the age of 13 on a moving vessel are required to wear a suitable life vest at all times. If you’re involved in watersports, most states require that life jackets are worn whenever you’re in the water. A life jacket should fit snugly, but comfortably, and allow you to easily move your arms. Most companies will provide a sizing chart to help you identify the best fit for you. Because they tend to be quite rigid and thick, it is usually best to buy an adjustable one, with straps that can be tightened. When trying on life vests, make sure you simulate the range of motion you’ll go through on the water, to ensure the life vest is fully comfortable, and allows the range of movement you’ll need. Once you’ve found the life jacket that works best for you, if you need to adjust it, start at the waist, and work up to the shoulders. Once you think your life jacket is fitted to securely, get a friend to tug upwards on it – it shouldn’t reach your nose. Choose the size you need based on your child’s weight. Nylon life vests are the most recommended for watersports, because of the greater freedom of movement they allow compared to other materials. They’re also cheap and light. 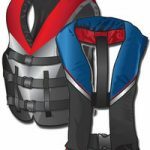 On open water, or in colder climates, neoprene life vests are best, as they offer additional warmth in the water, more buoyancy, and some stretch. If you’re fishing, or want to ensure you have necessary supplies close at hand, it is worth investing in a life jacket with zippered pockets. Pockets also offer an opportunity to warm your hands, which is an added bonus. From the first 3 (i.e. the ones you’re likely to buy after reading this page), the lower the number, the better. 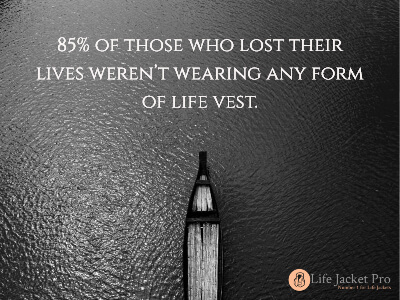 But remember, the worst life jacket is a million times better than none! Life jackets should be hand-washed, and allowed to drip dry. 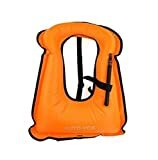 Do not tumble-dry your life vest, as this will impact on its buoyancy. Check everything before use, and be alert for mildew, any rips or leaks. If in doubt, buy a new one. Remember, these are intended to save your life! Remember to bear in mind what you’ll be using your life jacket for – check out our other reviews for more specific reviews, for example for watersports, sailing, and fishing, as well as dogs, infants, and non-swimmers. The Stearns Adult Classic Series is a unisex product (although Stearns also do ones that are specifically designed for women) which is Coast Guard approved. It comes in a choice of red or blue, both colors being bright and easily seen. This model is one size fits all, but the buckles and straps allow for easy adjustment to get the right fit. However, if you are particularly large, or very slim, you may prefer to opt for a life jacket that is sized in the normal fashion, so you can assured of a comfortable and safe fit. 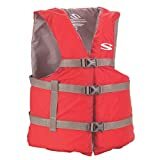 The Stearns Adult Classic is a good general purpose life vest for anyone out on the water. 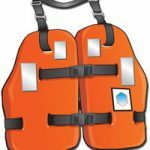 Closely following the Stearns Adult Classic Series Life Vest is the Autovox Adult Inflatable Life Vest, which comes in hi-vis orange or yellow, and can be easily stored in a jacket pocket or rucksack. This life vest is just that – a life vest. It is a “horse-collar” style product, and, while this makes it easy to get on and off, it does mean it comes without pockets. This is a good buy for boat-based vacations, as vacation vessels usually have plenty of storage for anything you might need. Water safety device: A must have for water activities such as snorkeling surfing boating and kayaking. Convenient&Portable: Auto-vox snorkel vest is easy to store and take out. The Lifesaving Pro Inflatable Belt Pack is worn around the waist, keeping the arms entirely free. The belt pack includes a whistle, to attract attention should you go overboard, and reflective bands to attach to the belt, in order to increase visibility. This life belt comes in a range of bright, hi-vis colors, so there’ll be something for everyone. It is SOLAS (Safety Of Life At Sea) approved, and fully adjustable. As an added bonus, there are even zippered storage compartments! Doesn’t offer much warmth – but can easily be worn over a wetsuit. 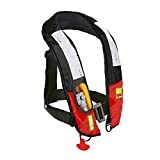 This life belt is perfect for those who want to be safe on the water, but don’t want to be weighed down, and who need to keep their arms completely free in order to efficiently move through the water. Inflates less than 3-5 seconds when the wearer manually pulls the inflation handle. CE Certificated & SOLAS approved USA 3M reflectors. Highly visible in dark. Light weight, durable, and comfortable to wear. Adjustable belt fit for adult and youth. Not too far behind the Lifesaving Pro Belt Pack is the O’Neil Men’s Superlite comes in sizes S-3XL, ensuring there really is something for everyone, although the sizes do fit very tight. This vest retains heat very well, making it ideal for the cooler evenings when you still want to get out on the water. This life vest is also Coast Guard approved. This is a great purchase for those who don’t like the feel of wearing a life jacket. With the O’Neil, you’ll barely be aware of it until you need it. If you’re spending this kind of money, you’re likely to be looking for competition-standard vests. 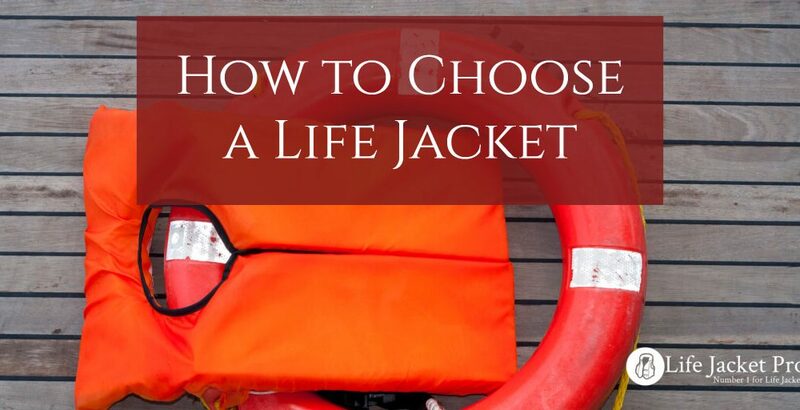 Even if you’re not there yet, if you’ve got the money, a top-of-the-line life jacket is a good investment. If you make sure you get a good fit, and take good care of your purchase, it can last you for many years to come. The Liquid Force 2017 Flex life jacket offers a stretchable, flexible design, built around the competitive wearer. It is reversible, and feels like a second skin when you’re wearing it. Designed with watersports in mind, it is not Coast Guard approved. This is definitely a life vest for those looking to go into professional competitive watersports – but there’s no reason you shouldn’t make the investment early on! Following the Liquid Force is the O’Neil Wetsuits Wake Waterski Checkmate, which, again, is designed for watersports competition, and so is not Coast Guard approved. It also doesn’t have the same smooth feel as the Liquid Force – there is a tendency for this vest to cause underarm rashes after a long day, although a rashguard shirt worn under the vest would address this. This life jacket is wind resistant, and offers excellent impact protection. It also absorbs at least 15% less water than other life jackets, meaning you’re not getting bogged down in the water. The stitching on this life vest is overlock stitch, which produces a strong, durable finish. The jacket also has a segmented core, which allows for full flexibility. As with the Liquid Force, this is a high-standard life jacket for those involved in competitive watersports.